Well, it was hot but as always it is good to be back! My excitement started in Monaco, where, for once, we had lots of action, lots of crashes, even some overtaking! The crowd was somewhat smaller than in the past due to Ferrari’s lack of success but there was no shortage of hangers-on in the paddock. Ladies of dubious virtue were rubbing shoulders with gentlemen of wealth the origins of which were equally dubious but then this in Monaco. I dare say it was pretty much the same 50 years ago. It was a lot more fun to spend a week in Italy. Where? Maranello, where else! 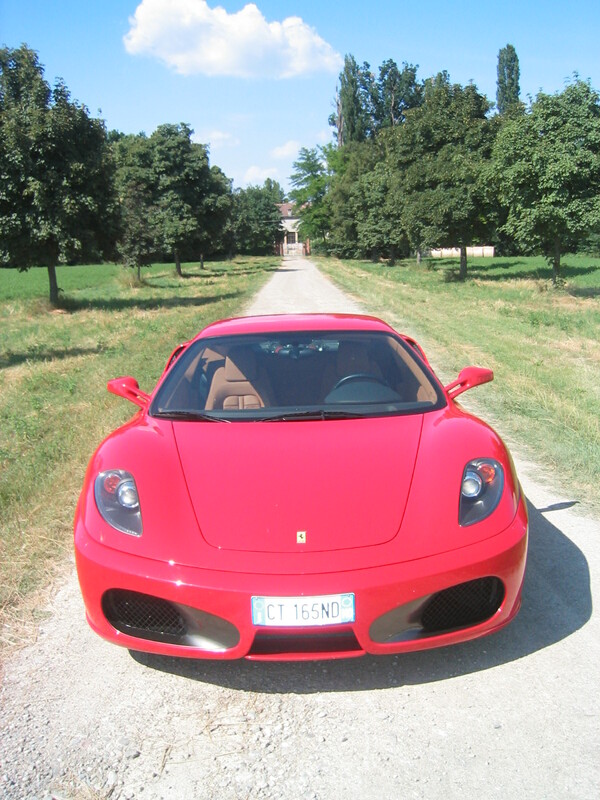 Ferrari have very kindly invited us to test-drive the new 430, the 430 Spider and the Superamerica. Every schoolboy’s dream, the ultimate candy store. Many years ago getting test cars from Ferrari was a pretty haphazard affair, sometimes the cars were there, sometimes not. These days it is like a Swiss clock. Please be here at 9 in the morning said Davide, the ever helpful PR man but be sure to be back by 6 in the afternoon. As we were staying literally just across the road at the excellent Planet Hotel it was literally a matter of walking over. Day 1 we had the 430, the following day the Spider. It became crystal clear within a few yards that the 430 is one serious automobile. Whereas I might have hesitated to pass on narrow roads with huge trucks coming the other way in the 430 it was so quick that it was actually safe. A quick blip on the accelerator was all it took. The seats were perfect, the engine the sort of thing dreams are made of and the Pirelli P Zeros were the nearest thing to glue-the car didn’t lose traction for a second. Day 2 was, if anything even more exciting as the Spider is definitely the one to have assuming that you have 200 big ones under the mattress or just made a fortune as a hedge fund dealer. In fact I was offered one recently for a mere 300 thousand, immediate delivery! No, the convertible is definitely one of the finest cars ever made, assuming that you like noise and lots of it. Surprise, surprise, at 7000 rpm it sounds somewhat different from a Toyota Prius! Great for a quick blast but for me the new Ferrari to have is definitely the Superamerica. That is a car for old fogies like me! A nice V12 engine up front, two comfortable seats, pedal shift as per the F1 car and an amazing roof which folds onto the top of the trunk at the push of a button. This also means that there is room in the trunk for a set of golf clubs. Not that it wouldn’t do over 180 miles per hour should you want to travel at those speeds but I found it docile, a delight and the only car I’ve ever driven I would sell my house for. On the other hand as I rent and as the total production is sold out luckily this is not a problem I will have to face. Ferrari knew that we were on our way to Maserati and to make their part of the trip unforgettable they arranged for a 612 as our transport, complete with one of their top test drivers who admitted to have driven the car at speeds of up to 350km/h! Without us, I hasten to add. Maserati’s new head office is a masterpiece, certainly the nicest looking new building in an otherwise rather tired looking Modena. They had a Quattroporte for us and what is more there was no curfew, we didn’t have to be back by 6p.m. On the contrary it was ours for the week-end! In case you haven’t come across one it is the Maserati’s answer to the BMW 7 series with equipment, acceleration and prices to match. 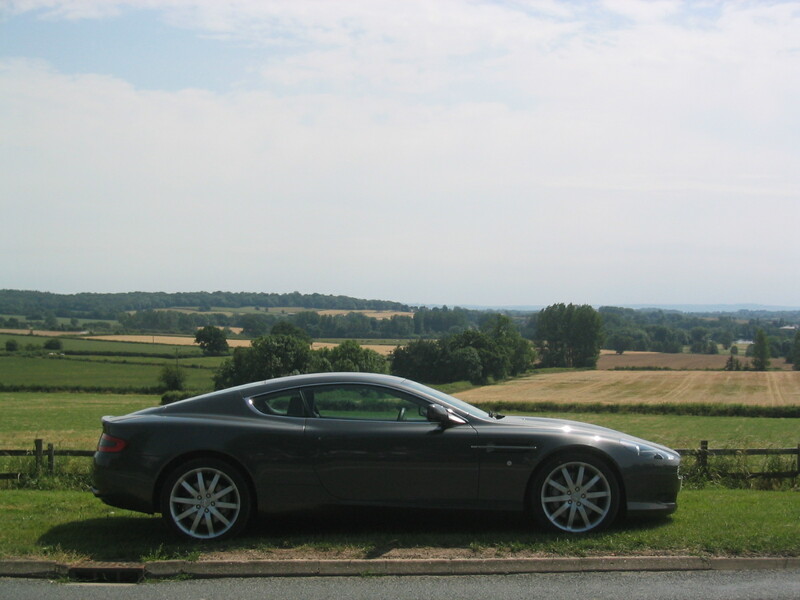 We headed North in total comfort, silence and luxury, alas at only 12 miles per gallon. 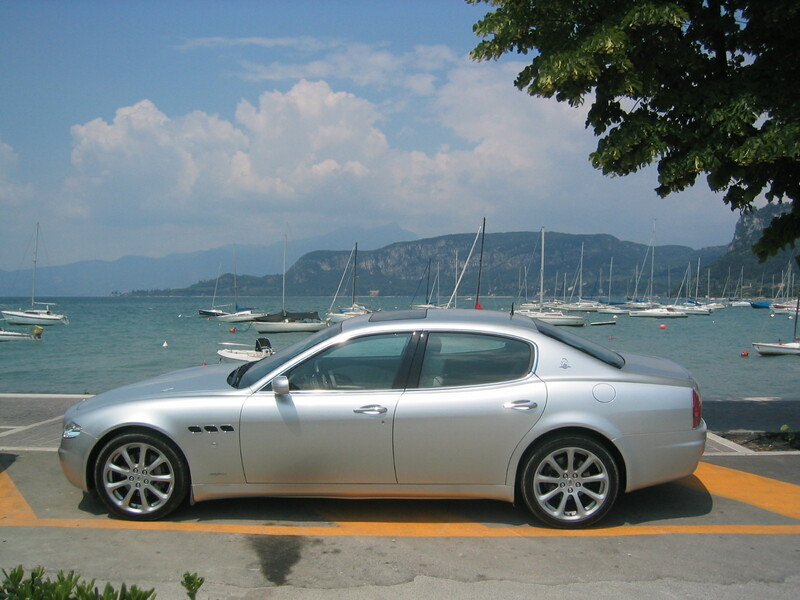 The styling is stunning and as there are relatively few in Italy due to horrendous taxes for cars over 2 liters the Quattroporte was surrounded by enthusiasts young and old every time we stopped. The gearbox was regrettably somewhat jerky, a common complaint in an otherwise very nice car, if expensive (100 thou in the US) car. Interestingly enough Maseratis are selling very well in the UK, partly because they are good and partly because they are different. I’ve asked a number of owners and they’ve all said the same thing-Maseratis are different. They’ve all had BMWs or Porsches and now that the quality is first class and the cars are quick as well is reliable they are voting for the Masers with their chequebooks. I had a look around the factory which was clean, functional and ready for another shift. If they could double production to 10 thousand units they would really be in the money. It would also help Ferrari hugely as the boys in Maranello supply the engines. The new Alfa-Maserati marriage is too new to show any concrete results but with Alfa’s quality slowly catching up with their brilliant designs don’t be too surprised to see Alfa, still a great name, in the States within 2-3 years. The Hungarian Grand Prix has certain traditions. One of the nicest ones is catching up with my old friend, Ford Hungary’s PR Director Gyorgy Madarasz. Not only does he very kindly lend me an excellent car for the duration of the Grand Prix-in this instance a 2 liter Focus with their stunningly successful TDCi engine- but also gives me an overall picture on the state of play in the country. The days of Trabants and Ladas are numbered as more and more Western imports take their places. Opel, Renault, Toyota, Peugeot, Honda, Mazda, even Ferrari(!) have showrooms as well as the locally made Suzukis which are the least expensive cars available. There are also dealers for Volvo, Jaguar, Mercedes, BMW-who are doing very well-and just about every other manufacturer including the South Koreans. On my return to the UK I had a private lunch with Roger Putnam, Ford GB’s highly popular Chairman who confirmed that the company’s success in Europe is due in no small measure to their excellent diesel engines propelling over half the products sold. 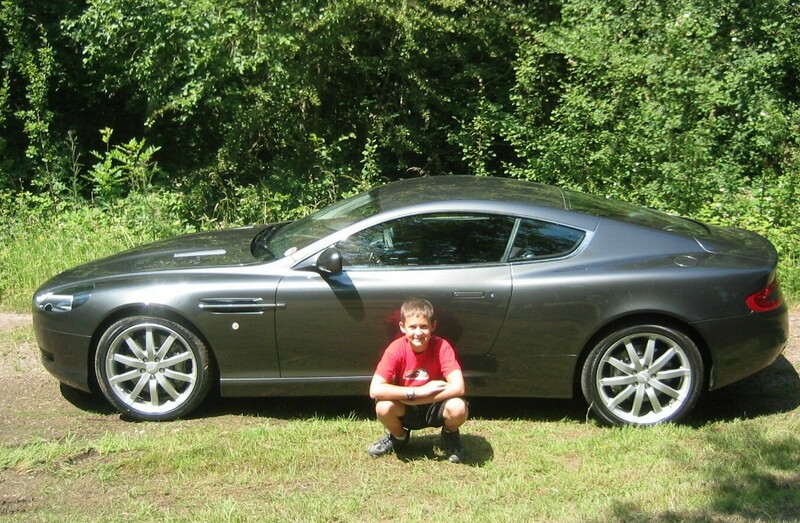 Freddy and his DB9, Thanks Grandpa! Before returning to California I had yet one more “every schoolboy’s dream” day. I took grandson Freddy to Aston Martin’s new premises in Warwickshire. He had no idea where we were going and was even more surprised when he was told at the gate that sorry, children were not allowed on the premises. Being a trooper he just waited for my return. You should have seen his face when he saw me at the wheel of a brand new DB9! Being nearly 11 and very much a car guy he figured out all the knobs and switches long before I did! Wow! What an engine, what a car. That V12 engine is on par with Ferrari’s and once they added those lovely British touches such as the exquisite leather it was a car very hard to return. Did I do it justice? No, I didn’t. Is one of the World’s ultimate grand tourers? Absolutely. Knocking Ford Motor Company has been very fashionable of late but when I think of how they poured money into Aston, how they transformed it from a ramshackle outfit into a highly successful makers of highly desirable automobiles all I can say to Bill Ford is thank you. Without you Aston would be just another great British name which is no more. So ended our Summer in Europe and after Ferraris, Maseratis and Astons it would not have been too nice to get into one of those dreaded and dirty San Francisco taxis. Luckily BMW came to the rescue with their excellent X5 which swallowed all our luggage with ease.